As an e-commerce company, convey information indetail, clarity of the product to the customer is very important, so make your magento video extension do this now. Allow admin to add video(s) to ordinary product images view. 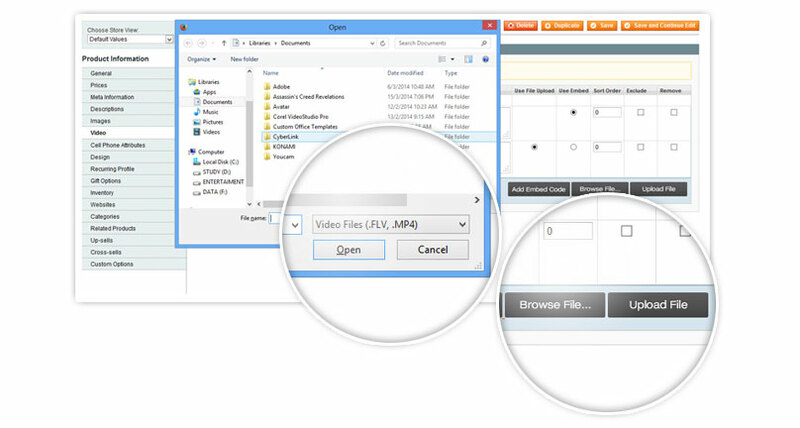 Admin can easily upload/edit/delete video files with available fields on the product uploading form. Admin can enable/ disable zoom image function. If admin enables zoom image function, customers can zoom images at front-end and see details of the product a lot better.